Follow your dreams. Do work that matters. Be creative. Take control of your career. Throw off the corporate shackles. Free yourself from the cubicle. Does this sound like your wish list for the New Year? Working from home may be among your goals for 2016. What better way to find freedom, flexibility and autonomy in your work than working for yourself? 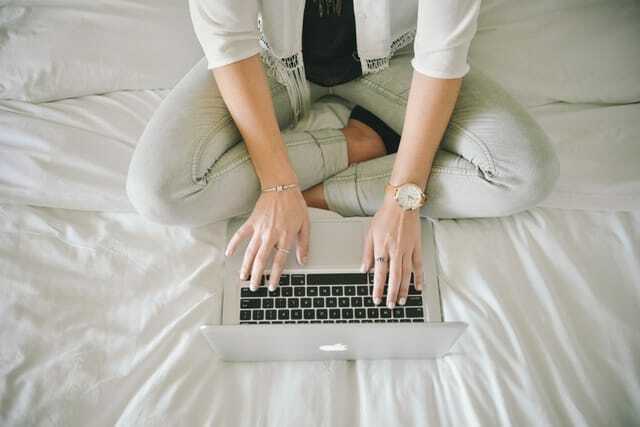 But working from home might come with a few less-exciting surprises as well, as Claudia McNeilly points out at HelloGiggles. Before starting my full-time job at The Penny Hoarder, I worked from home for four years. I can attest to many of McNeilly’s warnings. If I had known these things before I quit my job and decided to work for myself… I would probably have still done it. But I might have done a few things differently, or at least been able to plan ahead. Though well-meaning, job suggestions from friends and family will start to wear on you. Try to let these inadvertent insults roll off your back. It’s not on you to convince anyone your work is legitimate — and your attempts would probably prove futile, anyway. “Guilt, in all its various forms, will find you,” says McNeilly. Working from home can feel too good to be true sometimes. You’ll feel guilty for all the comforts you enjoy: making your own schedule, taking time off when you want and working in yoga pants. Because you take full responsibility when you work for yourself, you’ll also feel guilty when things aren’t going well. When your pitches go unanswered or your invoices sit unpaid, when you struggle to pay rent or you can’t afford the gift you wanted to give your mom for Christmas; you’ll start to question your choices. When you work where you live and live where you work, you literally don’t get out enough. This omnipresence is going to affect your relationship with your roommates, family or significant other. You all need time apart. While working from home might be your ticket to bliss, living in a home that doubles as someone’s office may be the opposite for others. Regularly discuss boundaries with your housemates, and respect their needs in your shared spaces. You might not think you’ll forget to shower, comb your hair or wear real pants. I certainly didn’t think I would. But sometimes you dive into a project as soon as you roll out of bed, get caught up in emails and “wind down” with a silly Twitter conversation. Suddenly it’s 8 p.m., you’re still sporting pajamas and bedhead, and it doesn’t seem worth it to get fancy at this point. For your own sanity, believe me, you’re going to want to get fancy. Some days you’re just not going to make the progress you planned on. That’s OK. Start again tomorrow. If after a few months or even years you decide working from home is not a fit for you, that’s OK, too. It can be an awesome opportunity for some people, but it’s not for everyone. Deciding to go back to a traditional job doesn’t mean you’ve failed. Learn more things you should know before deciding to work from home by reading the full story at HelloGiggles. Your Turn: Do you plan to work from home this year, or have you already done it? What do you wish you’d known before you started? Dana Sitar (@danasitar) is a staff writer at The Penny Hoarder. She’s written for Huffington Post, Entrepreneur.com, Writer’s Digest and more, and she is happy to admit working from home wasn’t the right fit for her.